The VFW National Home for Children will provide children and families of members of the VFW, its Auxiliary and active-duty military opportunities for growth and development in a nurturing community, and by doing so, will serve as a living memorial to all veterans. The National Home is a multi-faceted facility created to care for the developmental, social and spiritual needs of the children and families of the Veterans of Foreign Wars. Services are also available for children of active duty military personnel. Our facility is not an orphanage, but a neighborhood of custom homes, service buildings and recreational land administered by a highly devoted staff and fully integrated into its surrounding community. The idea for the National Home was first planted in 1923 when the Military Order of the Cootie presented the concept to the VFW at its national convention. Members of the VFW embraced the idea of a home for the children and families of veterans, and the VFW National Home for Children was born. 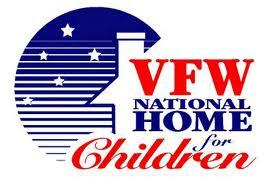 The Veterans of Foreign Wars established the National Home in 1925 to care for the children and families of our nation’s veterans. Located on 629 acres in Eaton Rapids, Michigan, the National Home stands today as a tribute to the VFW and Auxiliary members who help support the facility and the families who call the National Home their home. There is so much to know about the National Home; Please take some time to explore. You can learn about our Programs, take a Photo Tour, read about ways to support the National Home, discover who leads the programs and policies here, see what’s happening today at the National Home, do some shopping for souvenirs and much more. Be sure to contact us with any questions or feedback you may have. Remember, you are always welcome to visit the National Home!